Re furbished – Refurbished models are items returned directly to the vendor that are put through a rigorous inspection to ensure they are functioning as intended. Legally, vendors are not allowed to resell these products as new, so they are designated ‘manufacturer refurbished’. These items show previous signs of use and wear, usually designated by 3 ‘B’ levels. B1 - excellent condition (usually an open box unit) B2 – shows signs of previous use cosmetically (scuffs, scratches, etc) B3 – shows moderate signs of wear All manufacturer refurbished units include a 1 year manufacturer’s warranty from date of purchase. New TR-Series Professional Headphones The brand-new TR-series is a new line of premium professional dynamic headphones from Fostex. The line consists of six different headphones, as three different housing designs are offered (open, closed, and semi-open), each in one of two different impedances (80ohm or 250ohm) to meet various demands from the market. 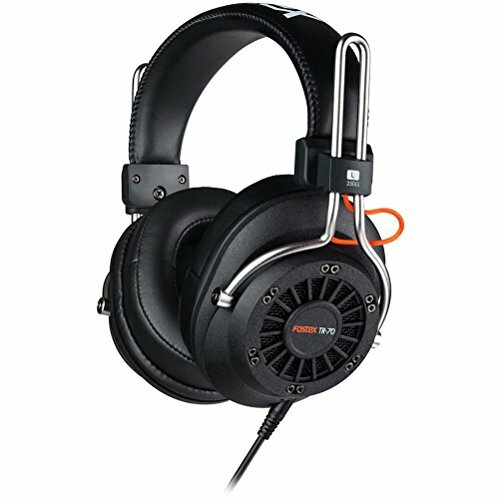 The headphone drivers, housings, and other elements have been newly designed from the ground up, and specially tuned by the expert headphone designers at Fostex for the very best audio performance. The open type (TR-70), closed type (TR-80), and semi-open type (TR-90) are the same variations found in the newly redesigned T-RP series headphones. Veteran Fostex fans will recognize the distinctive Fostex-signature slider bars, which are also a nod to the design cues of the long-running T-RP series. Each pair of TR series headphones comes with two sets of ear pads for customizability by the owner: a set of standard-thickness pads and a set of extra-thick ear pads. * Each pair of TR series headphones also includes two different detachable, locking headphone cables: both a coiled cable and a straight one. If you have any questions about this product by Fostex, contact us by completing and submitting the form below. If you are looking for a specif part number, please include it with your message.